Vladimir Putin met with President of Armenia Serzh Sargsyan. 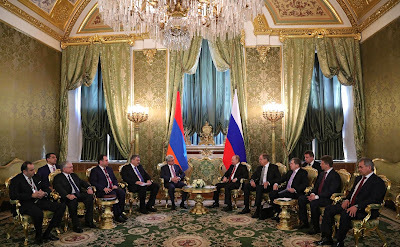 Putin.BLOG Armenia Foreign Policy Vladimir Putin met with President of Armenia Serzh Sargsyan. 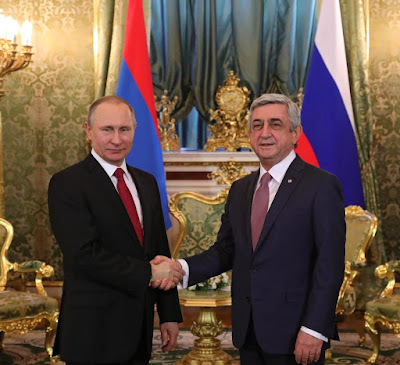 Vladimir Putin met with President of Armenia Serzh Sargsyan, who is in Russia on an official visit. The two presidents discussed key bilateral cooperation matters and prospects for the development of integration cooperation in the Eurasian region. 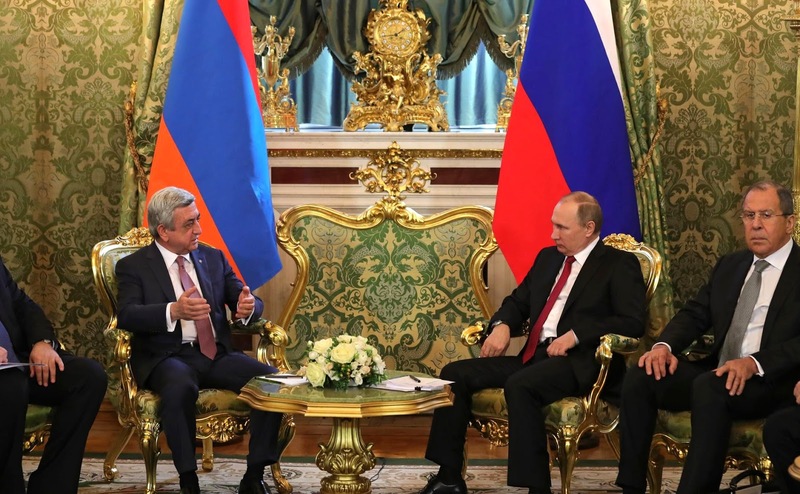 Following their talks Vladimir Putin and Serzh Sargsyan adopted a Joint Declaration and made statements for the press. Beginning of Vladimir Putin meeting with President of Armenia Serzh Sargsyan. Mr. Sargsyan, friends, I would like to welcome in Moscow. Soon, on April 3, we will be celebrating the 25th anniversary of the establishment of diplomatic relations. Over the years, relations between Russia and Armenia have turned into a genuine alliance. We work together actively in all areas in international organizations, both in those established on the post Soviet space, and in universal international organizations. Many events have taken place over this time, but our relations have always been built on the deep roots that go back centuries, and that continue to form a solid foundation for the development of our ties today. We know that this meeting today takes place as Armenia prepares for big events in its domestic political life, with a parliamentary election on April 2, and the constitutional reform. This is certainly not an easy process, but I am sure that, under your leadership, Armenia will get through this stage in its development. We sincerely wish you success. Thank you for the invitation to make this official visit to Russia. Our cooperation is constantly enriched with new areas, new issues coming up, and our regular summits enable us to review the situation and outline our main cooperation plans for the upcoming future. Yes, this is indeed an anniversary year for our relations. We are marking the 25th anniversary of diplomatic relations. These years have become a time of close cooperation and we have indeed built a true alliance. The nature of our relations sets the agenda. I am sure that today’s meeting will be substantive and will take place in an atmosphere of complete trust. Thank you for the invitation and for the warm welcome. 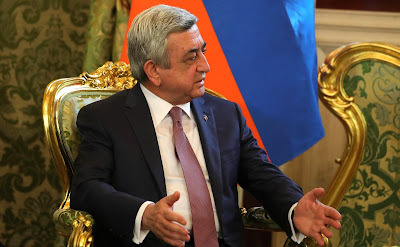 Russian President meeting with President of Armenia Serzh Sargsyan. Vladimir Putin with Serzh Sargsyan in the Kremlin. 0 Comment to "Vladimir Putin met with President of Armenia Serzh Sargsyan."